We all have bought chips, cold drinks or condoms from vending machines but these days we can get a lot of other things too. Don't believe us? Well then check out the list of some of the coolest and weirdest vending machines from around the world. This glittering ATM in Dubai spits out 24-karat gold in 320 different forms: gold bars, coins, and even jewelry. Enjoy cupcakes day and night at the Sprinkles Vending machine in Beverly Hills, CA. 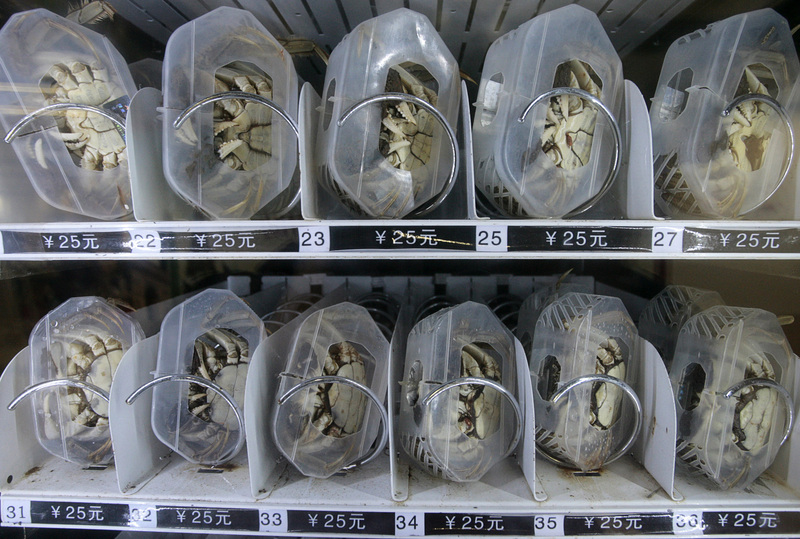 In China you can buy your crab from a subway station vending machine.